Do You Want to Sell Your Commercial Property Fast in Harlingen, Texas? We Buy Commercial Real Estate in Any Condition for Cash in Harlingen! Request a cash offer for your commercial property from our Harlingen investors by filling out this quick form or calling our local office at (877) 717-2087. After reviewing the details about your property, our team member will contact you to schedule a visit to come see your Harlingen property. After getting a more clear picture of your property’s condition, we’ll give you an all-cash, fair offer based on your local Harlingen’s market value. How fast will Property Cashin buy my Harlingen property? We are committed to selling your commercial real estate within seven days. Our team at Property Cashin will often have finished the transaction and provided you with cash in less than a week. Can Property Cashin provide me with cash for my building? Yes! 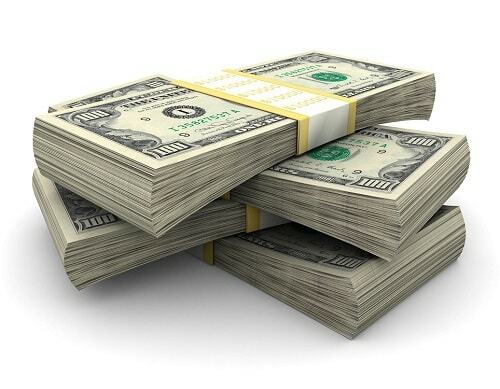 After the commercial real estate transaction is complete, you will walk away with cash in hand. Nothing. All fees are included in the transaction, and we won’t nickel-and-dime you with hidden fees. Foreclosure can happen to anyone. Falling behind on even a handful of loan payments can result in a drastic situation. Perhaps you waited for your finances to turn around, but now you’re stuck and facing foreclosure. You are not alone if you are looking for a quick solution. Property Cashin can help you sell your commercial property fast. Let us help you get the best cash offer before it’s too late. The economy and marketplace are both hard to predict. Whether a fluctuating economy has led to a drop in sales or a new competitor has moved in down the street, you may find that your business just isn’t bringing in the revenue you need. Whatever the cause, you have options. You may need to sell the commercial property quickly to avoid debt or foreclosure. A decline in business revenue is unfortunate, but we can help. Property Cashin will help you get the best cash offer for your property in a timely manner. If you are facing a business lawsuit, you probably don’t have time for much else to worry about. Whether you have filed the suit or are on the receiving end, business lawsuits can be quite expensive and time-consuming. Court proceedings and legal fees can add up quickly, taking a toll on your finances or business revenue. Property Cashin can provide a solution by providing a cash offer on your commercial real estate. We will work quickly to get you the funds you need. Has a partnership that seemed like a dream come true turned into a nightmare? Perhaps you and your partner may have different visions for your business, or your partner has lost interest in the venture. If you feel like you’ve exhausted your options for keeping the business afloat, it may be time to consider alternative solutions. Putting your building back on the market is a good option if your business partnership just isn’t working out. Property Cashin can help you sell your commercial property fast so you can move forward. Maintaining a business can be expensive. It’s even more expensive if your building is in need of major repairs. Water damage, electrical issues, and foundational problems can seriously impact your business. Your profits may be going down the drain because of constant repairs and renovations. Your best option is to sell your building fast. Our team at Property Cashin will get you the best possible cash offer for your property as quickly as possible. Don’t let the cost of maintenance hold you back any longer. Whether your business is growing or you have decided to downsize, the size and location of your commercial property are a huge deal for your business. More profitable locations and spaces are within reach. Whether you’re expanding, downsizing, or simply moving to a new area, we can help. Don’t let the cost of moving hold you back. Sell your commercial real estate fast with Property Cashin and get a head start for a new location. Life happens. Health issues can affect you or a member of your family without warning. Or, you may be facing separation or divorce. Any number of issues can take a toll on your finances and business. Whatever the circumstance, you may need a plan B. Figuring out what to do with your commercial property should be the last of your worries. If you need cash for medical bills or divorce, you should consider a fast sale with us. Our experienced professionals at Property Cashin can help you sell your real estate with sensitivity and care. Have you ever felt that your time and money could be better spent away from your business? Want to go to college, travel the world, or relocate to a new city? Maybe you inherited a family business, entered into a partnership, or started your own. If your business is the only thing holding you back from reaching your goals, it may be time to offload your commercial property. The team at Property Cashin will help you get on a new path in a week or less. Don’t hesitate to follow your dreams! Worried about being unable to sell commercial property fast in Harlingen, TX? Not anymore. For many years, Property Cashin has been buying properties in any condition around Texas and we are ready to offer you quick cash for yours. When we buy properties for cash, we don’t require any repairs or alterations to your property. This allows us to expedite negotiations and sales, ensuring you have the money you need in the bank as soon as possible. From restaurants, hotels and retail stores to apartments and office buildings, we provide fair cash offers on all commercial properties to ensure owners avoid depreciating property value or setbacks like foreclosure. Don’t keep holding onto property that does not generate the income you need to live on your own terms. Owning commercial property, whether vacant or full, requires costs that include mortgages, insurance, taxes and servicing/maintenance. Converting this property instead into quick cash to pour into your next business venture could be the best financial decision for you. With many investors behind us, Property Cashin has the funds ready to buy at a price that won’t leave you feeling shortchanged like other companies. So, get in touch with us to start the process and sell your property fast in Harlingen, TX.